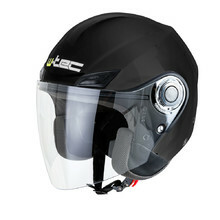 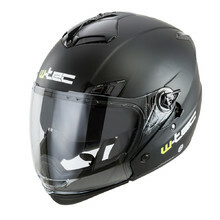 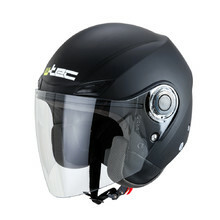 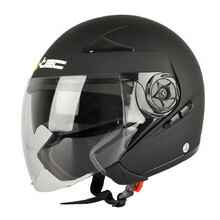 W-TEC and WORKER open face helmets are suitable for slower motorcycle owners that usually don’t ride at high speeds. 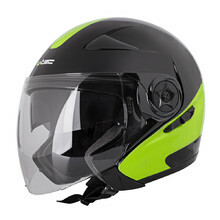 Open face helmets don’t have chin protection, just separate tilting shield. 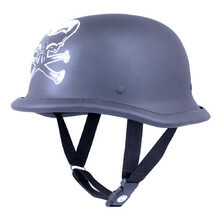 They have comfortable padding. 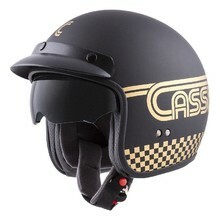 We also offer open face helmets from LS2, Cassida, Nolan or Origine. 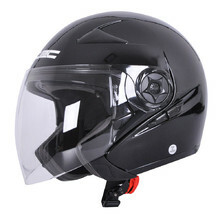 Open face helmets are ideal for scooters or slower motorcycles. 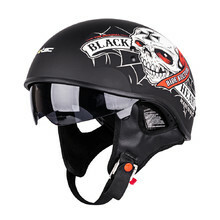 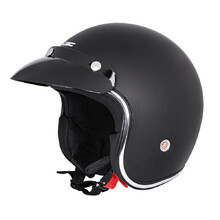 In this category, you’ll also find 3/4 helmets without shields that are popular among Harley or chopper enthusiasts. 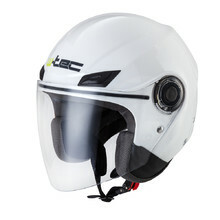 All W-TEC and WORKER open helmets meet the highest European homologation standards. 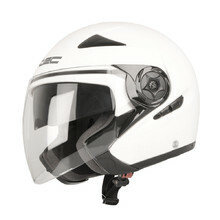 Original graphics, soft inner padding, sun visor, double D-ring closure. 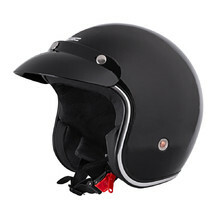 Comfortable padding, polycarbonate shell, attractive simple Grim Reaper design. 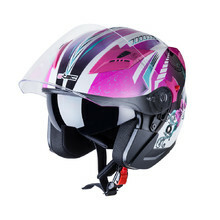 Soft inner padding, easy-to-use buckle closure, back loop for attaching goggles. 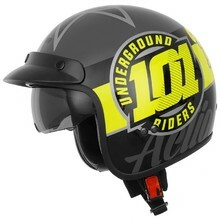 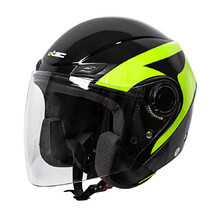 Open face helmet in bright-colored design, sun visor, flip-up visor, air vents. 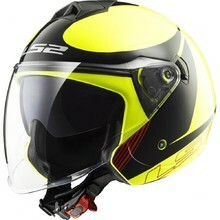 Exclusive graphics, polycarbonate shell, sun visor, micrometric buckle closure. 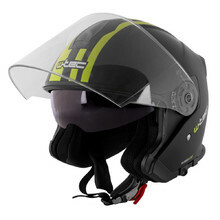 Modern open helmet with a sun visor, adjustable shield and air ducts. 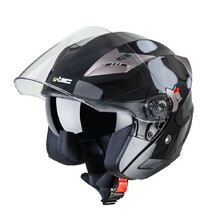 Modern open helmet with sun visor, flip-up visor and adjustable ventilation.